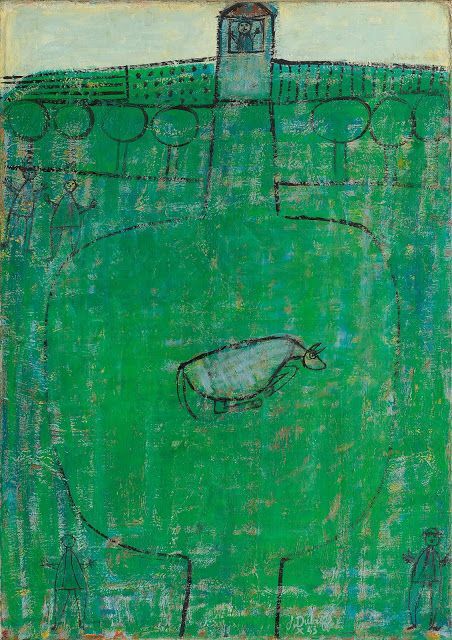 Cow Jar, by Jean Dubuffet, 1943. As the media frenzy caused by a ‘planetary health diet’ proposed in a new report from an EAT-Lancet commission this month continues, it is perhaps timely to recall that the Food and Agriculture Organization of the United Nations (FAO) has set the record straight regarding not just the level of greenhouse gases that livestock emit (see yesterday’s posting on this blog) but also incorrect information about how much food (crops eatable by humans) is consumed by livestock. It’s not a lot.